Welcome to "The Four Leaf Clover". 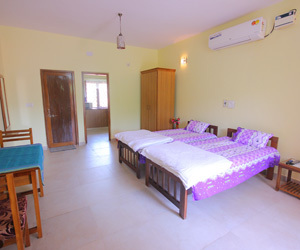 Our holiday home is situated in a very Goan suburb ambience, ideal for relaxing and rejuvenating yourself, which is away from the crowd and noise. So if you are looking for some peace and quiet and a place to relax and enjoy your holiday/ vacation with your family /friends and loved ones then come and stay at your very own holiday home at Saipem, Candolim, Goa just 6 kms from the world famous Calangute Beach. 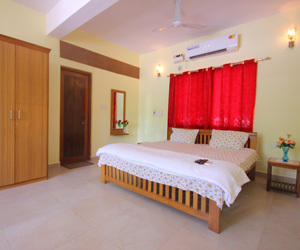 Each of our 6 spacious and well furnished rooms of 35 sq.mts. 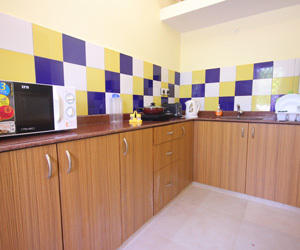 have a host of amenities and can accommodate two adults and two children. From Panaji go on the Mandovi Bridge and drive down to Betim village on the left and then proceed on the main road to Verem and continue on the main road to the Village Panchayat of Pilerne, then take a left at the Village Panchayat of Pilerne and drive for 1.5 kms and you will find our holiday home on the right.